You only need 3 ingredients to make Pringles Nutty Bark. It makes a great sweet and salty candy cluster. Perfect for holiday cookie trays, game night or any party as guests will devour them. It’s super easy to put together and it makes a ton. 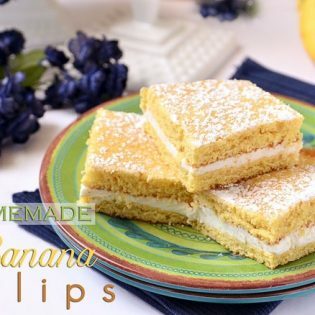 Make a batch and share this sweet indulgence with your friends! See that Pringles Nutt Bark?! It’s pure heaven!! It’s sweet and salty, crunchy and creamy all rolled into one “I need my fat girl pants” fantastic little treat! My soon to be new sister-in-law gave us this nutty little snack for Christmas. I was afraid to try it. I knew I’d like it…..but I discovered I LOVE it. Like, you can’t stop eating it kind of love. You won’t believe how simple it is to make, and that could be dangerous! VERY dangerous. Please make some, and eat it all, so I don’t feel so ashamed anymore. It makes a great addition to a cookie tray, along with decorated butter cookies and hot fudge lava cookies. 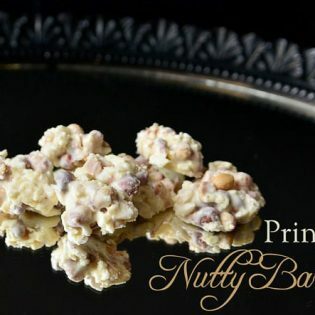 CHECK OUT HOW EASY THIS PRINGLES NUTTY BARK RECIPE IS TO MAKE! WATCH THE VIDEO! Potato chips and peanuts add the crunch to this sweet treat you can whip up in no time. In medium bowl crush potato chips and mix with nuts and set aside. Using a microwave safe bowl, melt the chocolate (or almond bark) in microwave for about 2-3 minutes, stopping every minute to stir. Using a rubber spatula, combine nut mixture with chocolate and stir until coated. Pour onto wax paper and spread. Let cool completely (at least one hour), then break into pieces. Or, you can drop by spoonfuls onto wax paper. Let sit until cool and set. 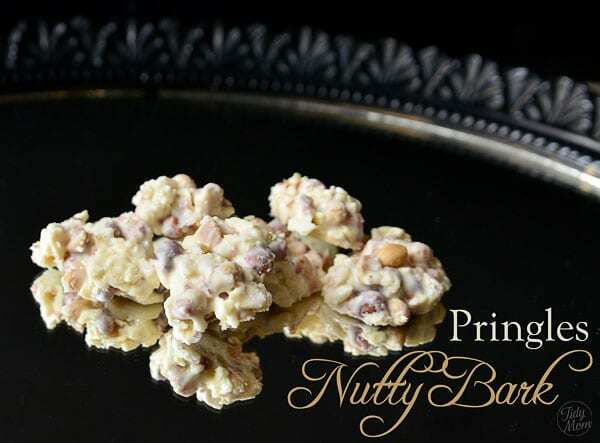 LIKE THIS PRINGLES NUTTY BARK RECIPE? PIN IT! holy moly that bark is right up my alley! salty & sweet. love that combo. nothing better. Sounds yummy! Wishing you a fabulous New Year and all the best for 2012! I HAVE to try this!! Thank you! 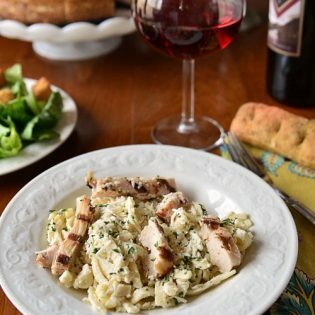 Love easy recipes like this, with a combination of flavors I can’t resist. happy to be a the link party again this week. I linked up chocolate haystacks. chocolate cake truffles and gingerbread. All yummy and sweet for a New Year! Ha! Thanks for ruining my perpetual doesn’t work very well diet! I love salty and sweet! 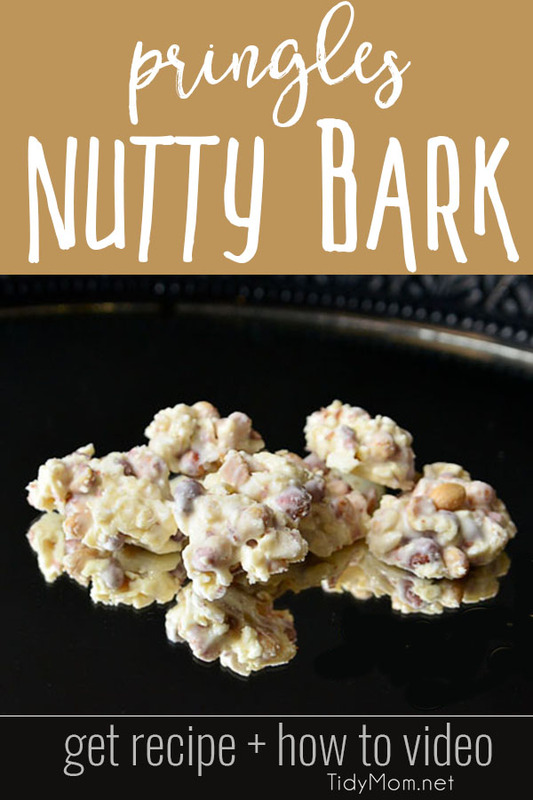 Now that is my kind of bark…love the sweet and salty together!!! Have a great New Year!!! No way, Pringles!!! This sounds so good! Wow…so easy! Love sweet & salty!!! What an easy treat with a nice salty sweet combination. Happy New Year to you and your family! YUM! Happy New Year Cheryl! I would never have thought to use Pringles in a bark but can imagine the crunch and salt makes it mighty tasty! sounds so addictive! Happy New year!!! “sweet and salty, crunchy and creamy” how can I resist that?! Cheryl! You’re killing me here. 😉 ‘I Need My Fat Girl Pants Candy’ should be its name. Wow! Pringles with chocolate and nuts. If they say ‘once you pop you can’t stop’ to Pringles what would they say about these?! never thought of using potato chips this way….yumm ! happy new year ! I am already cursing your soon-to-be sister-in-law because I know I won’t be able to stop eating this once I start. That looks pretty darn tasty. Only fear is I would eat the whole bowl. Happy New Year, Cheryl. It has been great getting to know you via your blog! More in 2012! Sounds great and easy to amke for a New Years Eve party. This looks like a serious serious problem! I am worried if I make this I will eat it ALL!! Sweet/salty & FABULOUS!! Happy new year my friend 🙂 Love the link up! Pretty Sure I wouldn’t be embarrassed to eat ALL of it!!! This looks like such a delicious and addictive snack! Happy New Year! Sounds good, if you like that try our version. Tried this today and it is FABULOUS!! I don’t like white chocolate or peanuts, so I substituted a 1 1/2 bags of semi-sweet chocolate chips and almonds. Delicious!!! In an effort to go green, I might skip the waxed paper and eat it right out of the bowl.